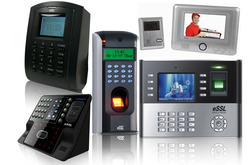 We are a leading Retailer of attendance system and time attendance system from Delhi, India. We are instrumental in offering our clients a wide range of Attendance System that is used in various offices and corporates to maintain the record of arriving and departure time of the employees. These systems also stores the data on computer. Available at industry leading prices, our range is smart in design and has a wonderful functionality, which makes it one of the preferred choices of our esteemed clients. We are engaged in bringing forth an attractive collection of Time Attendance System that is used in various offices, schools, colleges for maintaining attendance records. 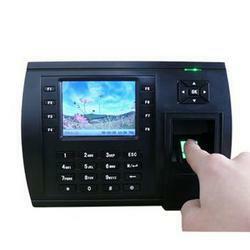 The offered attendance system is designed using the finest components and advanced technology at vendor's end. Moreover, this attendance system is valued for easy enrollment & assures to give access only to the authorized people.